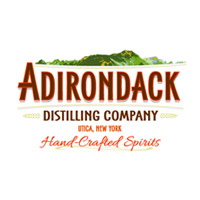 Founded in 2010, the Adirondack Distilling Co opened with a simple mission: to provide the highest quality hand-crafted spirits made with locally-grown ingredients, using an environmentally friendly distilling process. Located in a historic bank building dating to the 1920s, their German-made copper pot still and its distillation column are constructed specifically for hand-crafting spirits enabling them to create products that truly capture the taste of the Adirondacks. Adirondack Distilling Co have been honored with 10 International and 3 New York State awards in less than 3 years of operation, which is a testament to their smooth, delicious, and truly hand-crafted products. All of their spirits are made using 100% local corn and are gluten-free.